A core value at Trans Mountain is that no spill or leak is acceptable. For Trans Mountain, scrutiny and public interest have greatly increased since we announced our Expansion Project in 2012. We strive to be transparent and sincere in our commitments to spill prevention and emergency response, to be publicly accountable for the operation of our business and to remaining grounded by our commitment to safety. One of the ways we work towards these objectives – and connect with the public – is by participating in organizations such as the Canadian Common Ground Alliance (CCGA). The Alliance focuses on national damage prevention issues on behalf of operators of underground infrastructure (buried utilities) across Canada as well as other stakeholders such as road builders, insurance safety authorities, regulators and construction companies with a strong interest in the CCGA’s efforts. The Alliance is a primary advocate for safe digging and best practices – and reminding contractors, the public and any other potential ground disturber of the importance of notifying the One Call service in their province before putting shovels in the ground. 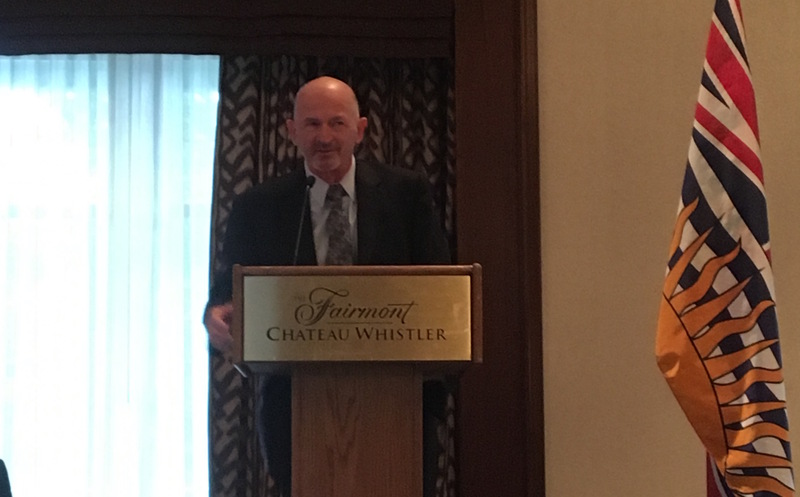 Trans Mountain was an active participant in the 2018 CCGA Damage Prevention Symposium in Whistler, BC, October 30-November 1. Hugh Harden, Chief Operating Officer, Executive Administration and Andrew Mark, Program Manager for Damage Prevention and Public Awareness were both speakers. One of the key things we shared at the symposium, based on our experiences over the last few years, is the importance of being inclusive in our safety programs by inviting stakeholders and Indigenous communities to learn about and participate in them. Keep telling our stories. Put facts, information and regulatory filings into context and show people how they too are part of a bigger picture. Be open and honest. Talk about our challenges and even our failures in a way that is real and authentic. If we have a pipeline incident, talk about it – what happened, why it happened and what we’re doing to ensure it doesn’t happen again. As always, one of the best ways for contractors and the public to help ensure pipeline safety is to connect with the One Call service in their province before digging.